Most of us think of colonial cities as being situated in the highlands… not on the ocean. In fact, when we talk about various lifestyles in Latin America, we often discuss colonial city living and the beach lifestyle as if it were necessary to choose between the two. But the truth is that you can have both. That is, there are a number of colonial cities on the water that offer an excellent expat lifestyle; not to mention the advantage of two property markets. Traveling down the coast of Northeast Brazil, it’s common to see gleaming resort cities, long stretches of sandy beaches, and beautiful small beach towns and fishing villages. What I didn’t expect was to find a small colonial city perched directly on the shoreline. Just four miles north of the state capital of Recife, Olinda’s narrow, cobblestoned streets wind through its hilly terrain, resulting in scores of amazing views from around the city. And Olinda’s tasteful restaurants, along with its well-preserved colonial architecture, provided a welcome change from the beach scene I’d become accustomed to in Brazil. 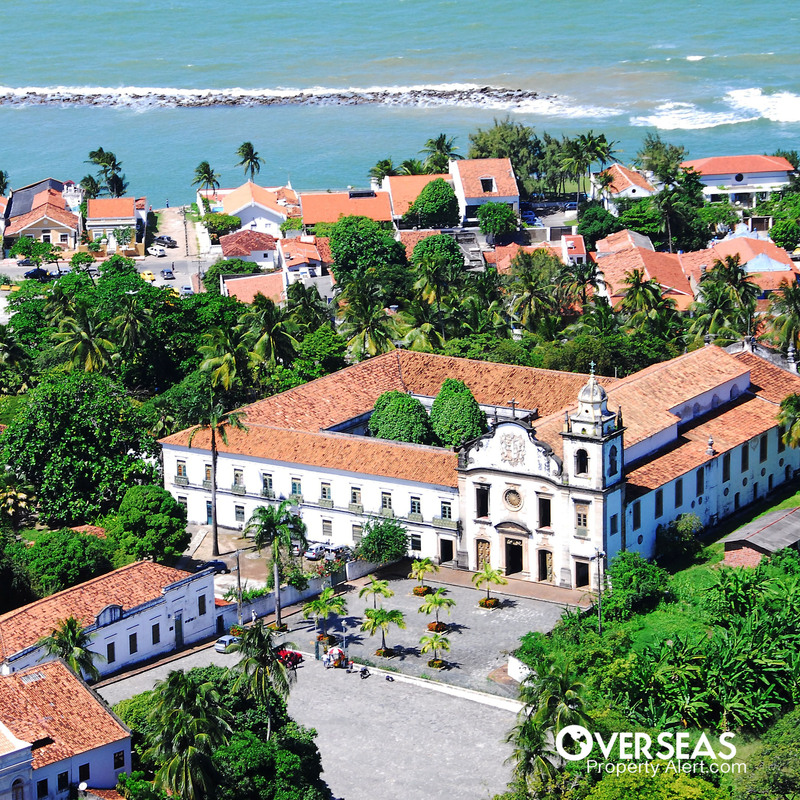 Olinda was founded in 1535 and served as the Pernambuco state capital for a number of years until the capital was moved to Recife. You’ll enjoy spending a few pleasant days exploring the shady streets and alleyways, sampling the restaurants, and stopping to admire the views of the ocean and numerous church steeples visible from much of this hilly city. Plan to spend a day on one of the oldest streets in town, Rua do Amparo—a culture-rich corridor lined with inns, restaurants, museums, and art studios—while enjoying the warm weather and ocean breezes. There are still 20 colonial period churches in Olinda, and they will be the highlight for visiting photographers or architecture buffs. On Sunday morning at daybreak, the church bells chime in unison throughout the town, filling the city with sound. And afterwards, there’s a crescendo of thousands of firecrackers… for those who managed to sleep through the church bells. Olinda has a wealth of amazing ocean views, but I found the beaches to be small and narrow in comparison to the surrounding communities. 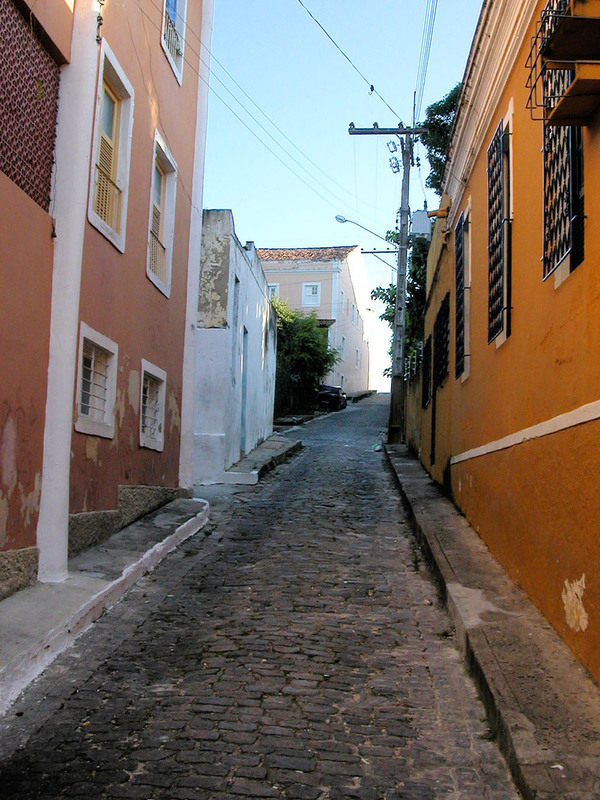 If hanging out on the beach is your primary consideration—rather than the colonial city—then Olinda may not be a good choice for you. The highlight of the year in Olinda—as is the case with many Brazilian cities—is their Carnival, which is known throughout Brazil as being the most authentic. It’s rich in tradition and folklore, without the electric bands or huge floats found elsewhere in the country. Properties in Olinda can be quite reasonable if you do a bit of digging. For example, an ocean-view apartment in Olinda has 118 square meters (1,270 square feet) of living area including three bedrooms, two-and-a-half bathrooms, a maid’s quarters, and two garage spaces. The apartment is in a conveniently-located building with a swimming pool and attractive entertainment areas. The asking price is US$202,500 at today’s exchange rates (670,000 reais). If you’re considering something a bit larger, I found an ocean-view house with 240 square meters (2,582 square feet) of floor space, including three bedrooms, three bathrooms, a maid’s quarters, family room, and office. The house is part of a gated community, with two well-kept gardens outside, a garage, and covered terrace. The asking price is US$196,500 (650,000 reais). 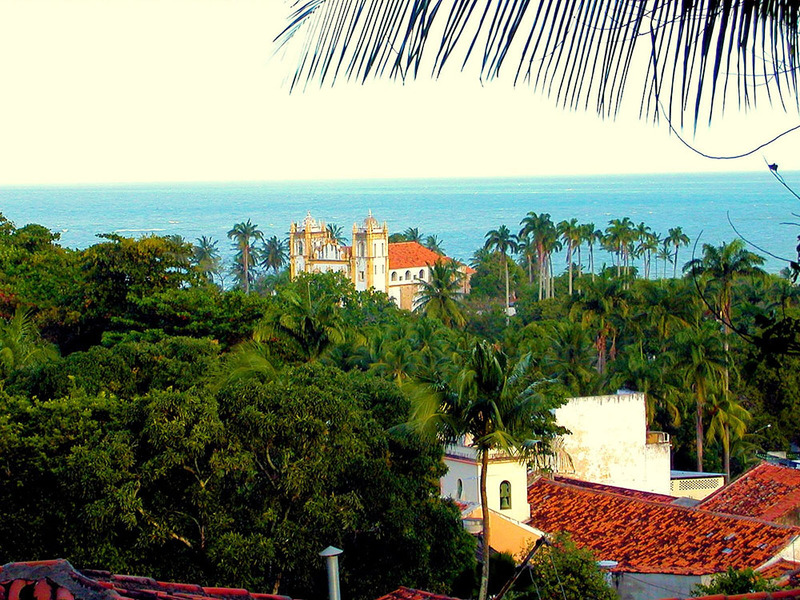 Olinda is one of the most beautiful colonial cities you’ll see anywhere in Latin America. It’s perfect for someone who enjoys a colonial environment, yet would like to have the ocean nearby. Also, this would be a great place to open a tourist-related business, like a café, restaurant, or bed-and-breakfast. Everyone has heard of Cartagena, Colombia. It’s Colombia’s #1 draw for foreign visitors, and home to a sizeable expat community. But just 150 miles up the Caribbean coast is Santa Marta. It’s a town that offers excellent diving, sandy beaches, calm waters, an upbeat and energetic culture, and a collection of diverse and attractive living options. The way I think of it, Cartagena is where the world comes to visit, while Santa Marta is for Colombians… and a handful of expats. 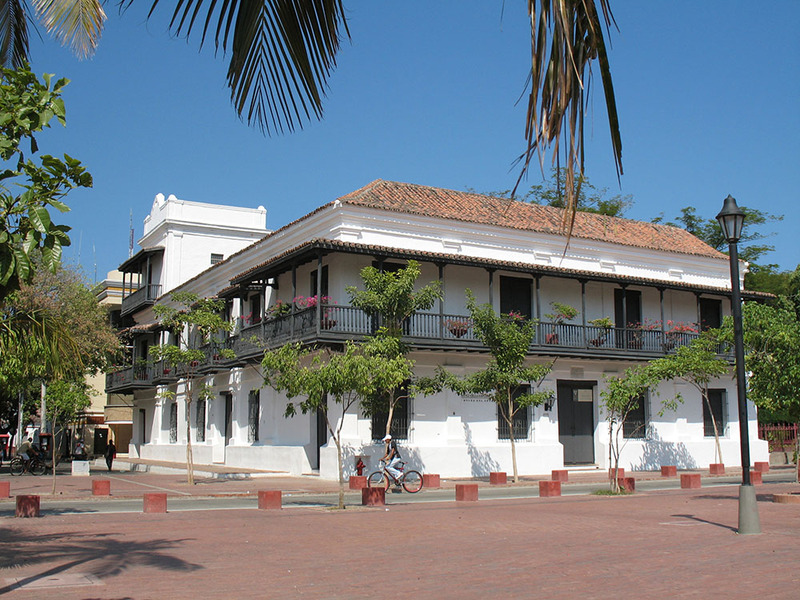 Santa Marta is Colombia’s oldest city, and its first “colonial city by the sea.” Columbus visited Santa Marta on his second voyage in 1499, and it was officially founded as a city in 1525. It was here that one of Columbus’s crewmen documented the wealth and riches of the local indigenous people, giving rise to the myth of El Dorado, the fabled city of gold. The city fell into decay and didn’t begin its turnaround until the mid-2000s. Today, its formerly seedy waterfront has been renovated and now sports a green, well-kept park and boardwalk along its length. The area is now bustling with people strolling along as they watch the kids play in the water or the cruise ships coming and going from the adjacent port. On the inland side of the waterfront drive, new cafés have sprung up where visitors can stop to enjoy a cold drink under the shade of a wide umbrella. The largest parks in the historic center—Parque de los Novios and Parque Bolívar—have been completely restored, with new brick pathways winding between green lawns and shady trees. The bright-white statues and gazebos gleam in the sun as visitors pause to relax and watch the passersby. But the big news in Santa Marta is the US$8-million-dollar, 256-boat, international marina, with its floating docks now occupied by both local and transient boaters. And, true to predictions, the marina has sparked a number of condo projects onshore. What’s more, the gentrification is spreading throughout the historic center, as boutique hotels, small restaurants, and tasteful condos continue to replace the run-down buildings that the city was known for just a few years ago. When you’re exploring Santa Marta, be sure to make time for the large, open-air restaurant, Gran Manuel, located at Calle 28 and Carrera 1. Their cazuela de camarón (shrimp stew) is the best I’ve ever had… and I’ve tried this dish dozens of times around the region. In the Bavarian neighborhood of central Santa Marta, we found a spacious 252-square-meter (2,711-square-foot) house on the market, with four bedrooms and three bathrooms arranged on two stories. The negotiable asking price is US$138,100 (420 million pesos). In the El Prado sector of town, close to both the historic center and the new international marina, a single-floor, 200-square-meter (2,152-square-foot) house is for sale, with three bedrooms, two bathrooms, and spacious, bright rooms. The asking price is US$164,419 (500 million pesos). 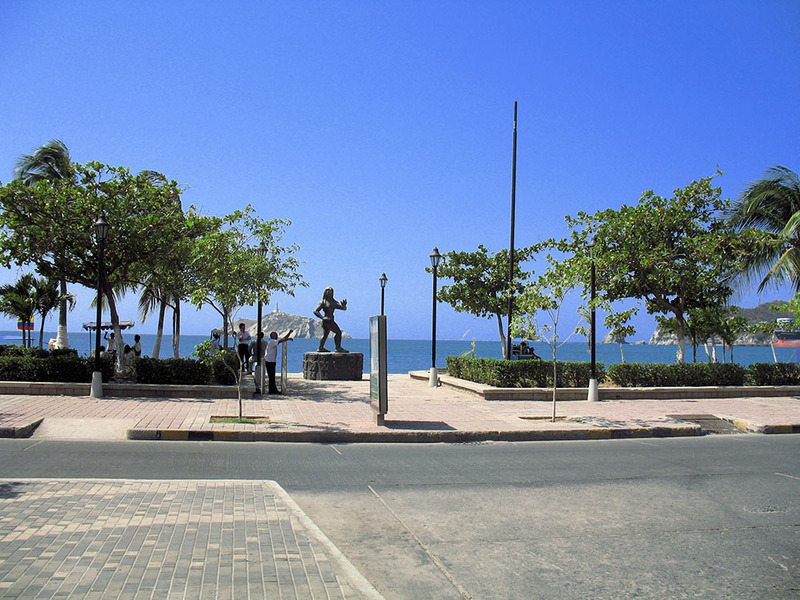 Santa Marta has a small beach right at the historic center. But for a day on wider, prettier beaches, head north to Taganga or south to El Rodadero. 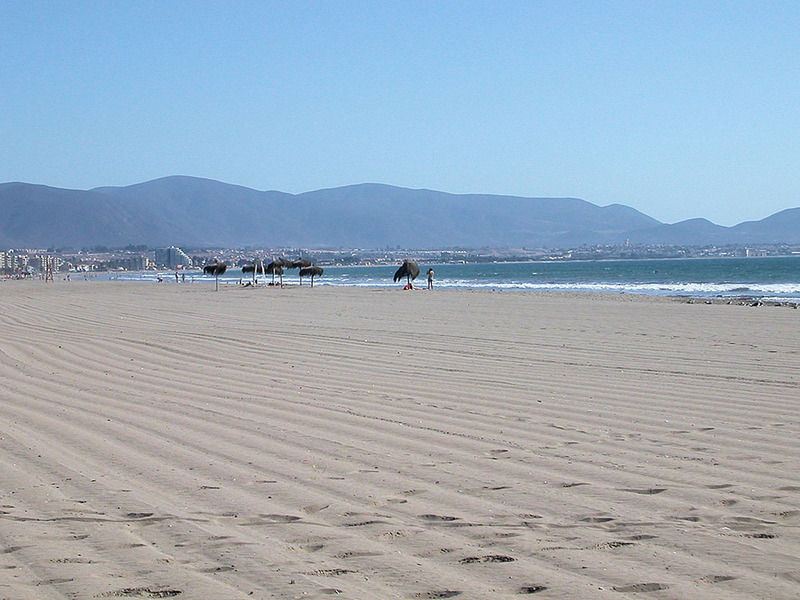 La Serena is a clean, well-organized, Spanish colonial city, as well as one of Chile’s most popular beach destinations. If you’d like to have a home near the beach, but would also enjoy a colonial city, then La Serena should definitely go on your list of places to visit. 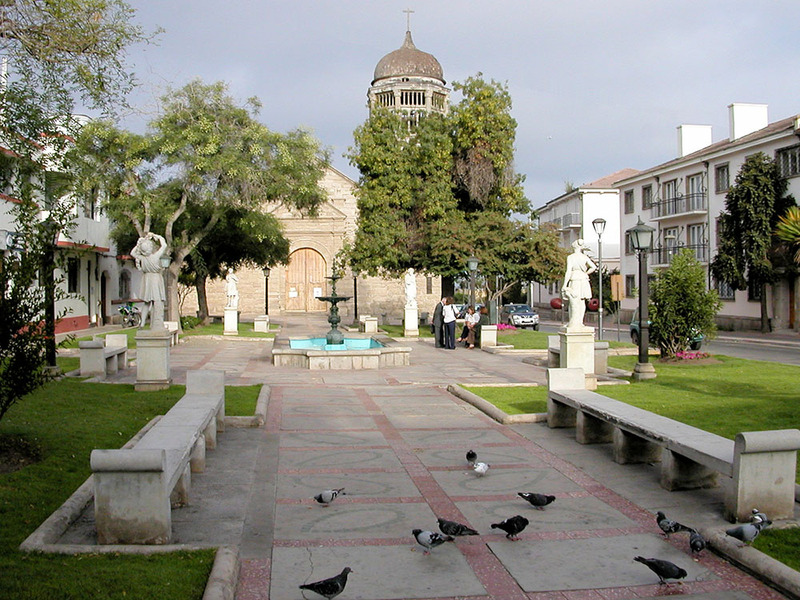 Founded in 1544, La Serena is the second-oldest city in Chile after Santiago. It sits at the mouth of the green Elqui Valley, which makes it feel like an oasis when compared to the surrounding desert. It is neatly constructed and well laid out, and does a good job at showing off its Spanish colonial architecture with courtyard-style homes, a clean town plaza centered on an elegant fountain, and clay tile streets. Graceful, well-maintained, 16th-century churches are found throughout La Serena. La Serena is a university town—which brings a liveliness in itself—but it’s also a “high school town,” as many high schools are situated here for nonresident students from the surrounding areas. Schools and young people are everywhere. I also came across a couple of large, clean Andean-style farmers’ markets, which had a good selection of fresh food, as well as a number of restaurants and a variety of other stores. If you’re into handicrafts, the artisan market at Cienfuegos and Prat will be a worthwhile stop. The beach is about a mile west of downtown, a distance that many townspeople walk on the weekends for a day in the sun and cool Pacific waters. And a magnificent beach it is: about 100 meters wide and over 6 kms long (3.75 miles). The fine, white sand and blue waters of the Bay of Coquimbo draw people from all over Chile and abroad. La Serena enjoys brilliant weather all year, owing its sunshine to the surrounding desert and its refreshing temperatures to the cool ocean currents. Chile is not known for cheap properties, but La Serena has some great values. Note that many properties in Chile are listed in Unidad de Fomento (UF). Follow this link to see how the UF works. A recently remodeled apartment on the waterfront avenue enjoys unobstructed ocean and beach views. With 120 square meters (1,291 square feet) of floor space, it has four bedrooms, three bathrooms, and a spacious, covered terrace overlooking Coquimbo Bay. The property, located close to restaurants and shops, has an asking price of US$195,000 at today’s exchange rates (4,800 UF). Another Avenida del Mar property is available at this time, with 160 square meters (1,722 square feet) of living area. This one is a two-story house with four bedrooms, two bathrooms, and an ocean-view balcony on the second floor. A fenced yard with plenty of parking and a storage shed is also included. The asking price is US$231,600 (5,700 UF). If you’d love to live on the coast and have access to sun, sand, and fresh seafood, but you’ve also dreamed of living in a colonial city, remember that you can do both. These are just three of my favorites (along, of course, with Mazatlán, Mexico). With just a bit of searching, you’ll be able to find similar spots around the hemisphere. I love all your reports. Regarding your boating abroad article, what are the chances of living aboard if you don’t own real estate? If you get back to Maryland, let me know and we’ll go for a boat ride in Baltimore. In every country I’ve checked, the requirements for living aboard your boat are the same as for those living on land. You’ll need to leave the boat in order to check in with customs and immigration, where you’ll be granted a stay in accordance with their normal immigration policy. Many of the marinas I checked charged a higher rate for liveaboards than they charged for transient boaters. Being a sailor, are there any marinas in Colombia? If so, are they good ones? Your best bets in Colombia will be in Santa Marta and Cartagena. In Santa Marta, you’ll find a new marina in the historic center that will accommodate 256 boats of up to 132 feet (40 meters) in length. It’s well-equipped, with a mini-market, showers, laundry, swimming pool, and lounge with Wi-Fi. In Cartagena, you’ll find about seven marinas with varying levels of service. The Club de Pesca is well-equipped and at a good location… you can walk over the bridge to the now-trendy Getsemaní. If I had to choose between the two, I’d head to Cartagena… especially if you’ve never been to Colombia. Having lived aboard our 48-foot ketch for six years and logged (collectively) around 200,000 miles at sea, my wife and I found your recent report for expat boat lovers excellent. In Costa Rica, Golfito is becoming a popular bolt hole for cruisers. There are no hurricanes in Ecuador (another bonus for that great expat haven), and the cheap digs at the yacht club at Salinas are a good option; however, the cruising is a bit humdrum unless you go to Galápagos, where extended stays are a problem. Islas Perlas in Panama is a wonderful cruising ground, but the marina in Panama just outside the Pacific entrance to the canal is expensive: best to drift north and hole up in the cheap “yacht club” in David. One caveat for all expat boat owners wanting to leave their vessels for extended stays in foreign countries: Most countries have limitations on the time you can leave your boat there without being subject to import duties. Check before you go! This winter we’re off to the little known backwaters of South India. The red tape is extensive for foreign boat owners, so we’ll just hire a boat and skipper! I was wondering if you had any info or suggestions about the Salina Cruz area of Mexico. I love your insights into living in Central and South America. Salina Cruz is best known as a major seaport and for the PEMEX refinery there. It’s located on the southern west coast of Mexico, about halfway between Acapulco and the Guatemalan border. But it also has miles of beautiful beaches that you almost never hear about. They extend for a long distance in both directions from town. Under the Köppen Climate Classification System, Salina Cruz is categorized at “Hot as Hell,” with temperatures in the 90s most of the year (about 32°C), and an average humidity of over 60%. I don’t know of much of an expat community there, so you can expect more of an authentic Mexican environment when compared to the more popular beach areas in Mexico.